As a mobile Notary, traveling to your appointments is your business, and in addition to a Notary seal and a journal, a safe and reliable automobile is your most important tool. Without it, you're out of business. If your real estate agent drives a luxury car that screams, "I live in a mansion and you should too," then a Notary signing agent’s compact may communicate that “you are dedicated and trustworthy” Goldberg suggests, and you do not overspend. Your auto can look efficient and competent because that’s exactly what clients are looking for. "Purchase a vehicle that has a superior safety rating," says Tim McCarthy, owner of CarSense auto consulting in Leesburg, Virginia. To get an unbiased view, experts suggest examining the safety ratings calculated by the National Highway Transportation Agency or the Insurance Institute for Highway Safety. One of McCarthy's personal favorites for safer Notary vehicles is the whole Volvo line. If you're often hunting for a space to park in a crowded urban mecca, a smaller car is much easier to navigate, say our car experts. Some Notaries, however, prefer buying American vehicles. For them, Langenderfer recommends the Ford Focus or Fiesta or the Chevy Cruze or Sonic. However, he also points out that it's difficult to determine if an American car is actually made in the U.S. these days. Foreign car makers own manufacturing plants here, while American automakers ship some production out of the country. You have to crunch some numbers to decide if you want to spring for a brand-new set of wheels. Check the values of new and used cars at sites like Edmunds and Kelley Blue Book. 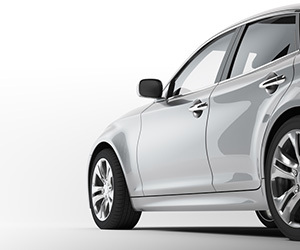 You can also check a used car's vehicle history, using services like AutoCheck or Carfax. Can a Notary Demand That a Signer Surrender a Driver’s License? Many thanks for this very useful information, and for caring! It'sa great morning to be & outstanding Notary..
Commission has expired. I will NOT be renewing. Please UNSUBSCRIBE me from your mailing list. Thanks. Hello Mr. Glick. If you can please forward your email address to us at social@nationalnotary.org we will remove it from our mailing list. Sorry but I think you piece on what car to drive was terrible. It's find to say that you should find something safe and reliable that matches your stile, but to name many foreign brands that so and so drives then oh some notaries drive American, wow! At our house we speak English and fly the American flag. i have driven 3 Mazda 3's during my 12 years as a traveling notary. My current 3 gets 40+ mpg on the highway. Bluetooth phone capabilities with navigation system.